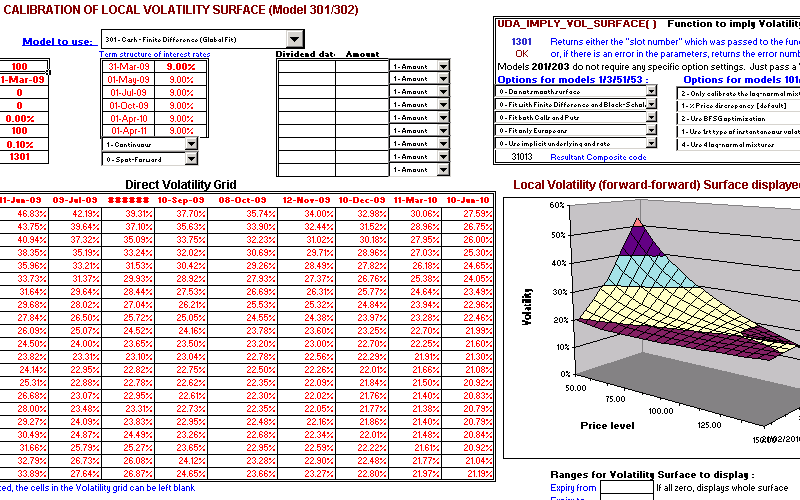 UNIVFDIF implies the local volatility surface and then prices and calculates the full sensitivities of European, American style and Bermudan variable strike Exotic options (including discrete windowed and double barriers) on bonds, commodities, currencies, futures and shares (including discrete dividend payments). 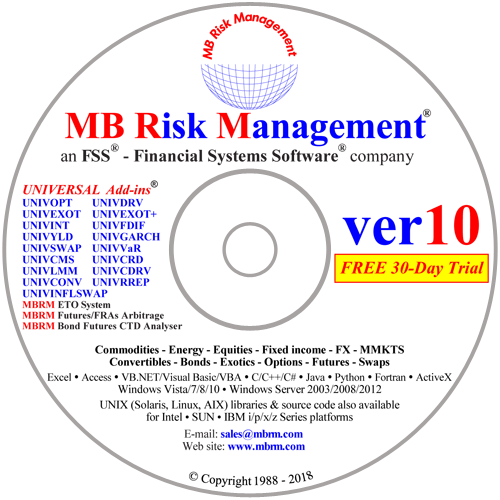 The add-in uses the finite difference algorithm which is more advanced than standard binomial trees. Full term structure of interest rates and Multi-Dimensional Local Volatility Surface are handled.